Baby, it’s cold outside! And for the next two weeks, Monroe Farmers Market will do its part to warm FMC’s Instagram feed with cozy photos of their indoor market from the breathtaking Pocono Mountains in Stroudsburg, PA. Monroe FM’s resident Instagrammer and market volunteer, Cathryn Hahn, took a minute to illuminate the ways her market shines – even through the gloomiest of winter days! 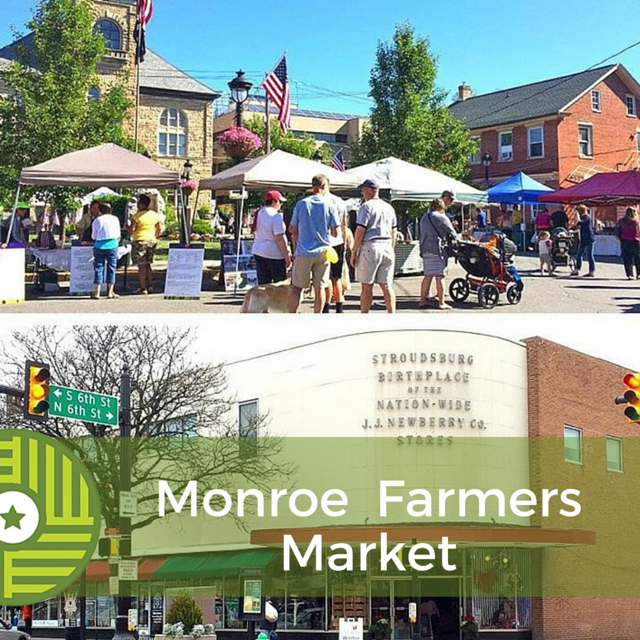 Farmers Market Coalition: Tell us about Monroe Farmers Market. 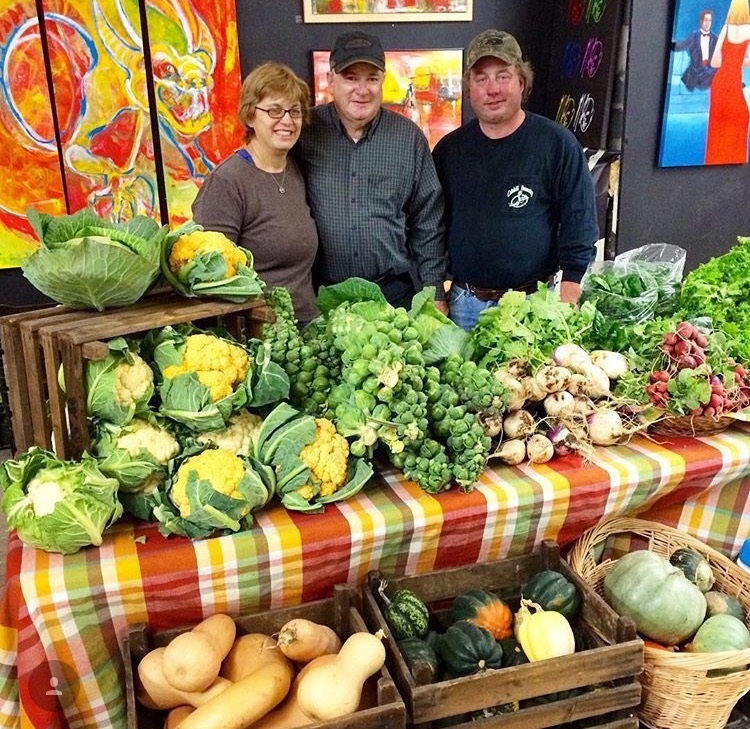 Cathryn Hahn: Monroe Farmers Market has been in operation since 1979 and is run by a committee of vendors and a few volunteers. We’re located in the Pocono Mountains, about 2.5 hours north of Philadelphia and 1 hour and 20 minutes west of New York City. Many of our residents make the daily commute to NYC for work. From May through October, we host 23 vendors and are located outdoors in the town square (Courthouse Square, as it’s locally known), right in the heart of Downtown Stroudsburg. From November to March, we host a slightly smaller indoor winter market, comprised of 12-15 vendors. This year, we’re excited for our new winter market location, inside a local art gallery! It’s only a block from our outdoor location and is sure to create the perfect market atmosphere for our patrons during the chilly season. We are a producer-only market, selling exclusively agricultural products during the outdoor season, but do invite a few local crafters to join our winter market. FMC: Why do you think your community is drawn to Monroe FM? CH: We do several big annual events, such as Kids Day and AppleFest. Those always draw large turnouts and generate awareness for our market. We also regularly host cooking demos, featuring local restaurants and nutritionists and always try to have activities for kids, including pumpkin painting, arts and crafts, seed plantings, etc. This is our first year accepting SNAP, which we promote through printed materials distributed throughout our neighborhood and local schools. We do a lot of outreach and understand the need to serve the most vulnerable in our community! FMC: Has social media proved useful as a promotional tool for your market? CH: Social media constantly helps us reach new audiences. Facebook has working the best for us, but we also use Twitter and Instagram. Posting vibrant photos of products and customers is always our best bet for creating social media buzz. We definitely get the most “shares” that way, which bolsters our follower base and further promotes our market for free! We do follow other markets in our area who do an incredible job of managing their social media by posting a combination of news, educational tidbits, and photos – so it really does pay to follow other like-minded organizations for ideas and inspiration on how to promote our own market. FMC: Is there anything you’re especially excited to share with our Instagram followers? CH: It’s interesting to see, through social media, the different products offered across the nation. I’m hoping to share a little glimpse into farmers market life from the mountains of Pennsylvania! We have a well-educated group of farmers and a great winter location this year, so it will be fun to document and share our experience. We hope you all enjoy our lovely Monroe Farmers Market! Be sure to catch Monroe FM’s story by following FMC on Instagram!